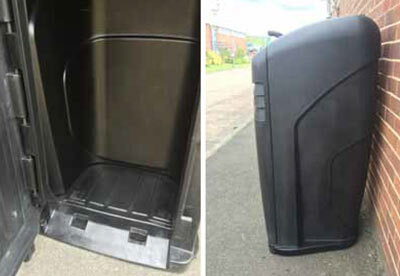 This food waste recycling bin is extremely robust and easy to clean. The large capacity and clear recycling decals make it suitable for outside offices, residential buildings and grocery stores. 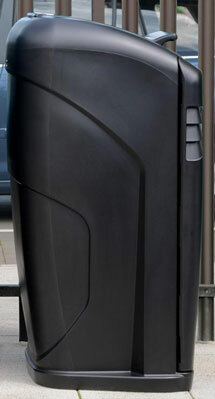 Nexus City 64G Food Waste Recycling Bin is a robust and attractive recycling receptacle. 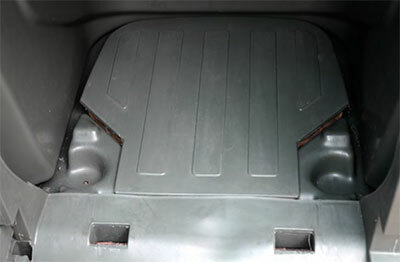 The unit features a soft-close aperture flap that keeps vermin out and odors in. Recessed food waste decals are clear and easy to understand and reduce cross-contamination of waste. The decals are robust and hard wearing, mark resistant and can be jet washed clean. 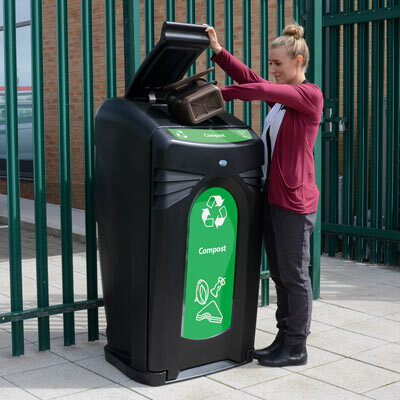 This 64G bin is ideal for use anywhere large volumes of food waste are generated. 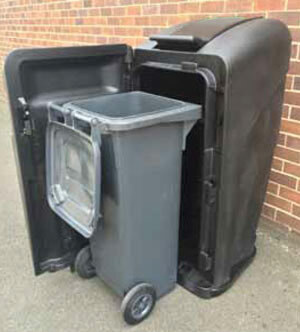 Additional extras are available such as either a 36G wheeled liner or 64G bag holder system, top, door and flap recycling decals, poster frame kit and several fixing options. Please contact us for more information. 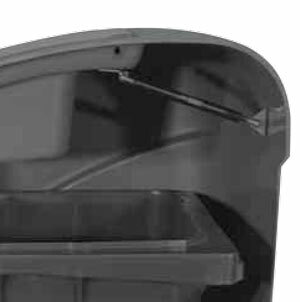 Curved sloping lid prevents waste being left on top of the bin. 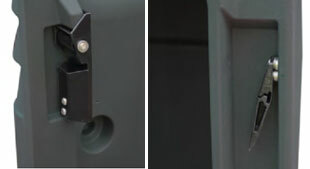 Aperture flap is designed to create a seal, keeping vermin out and odors in. 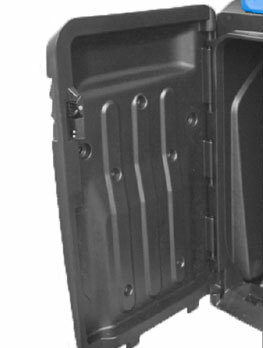 Body, door & aperture flap: Black (contains recycled material).